In very few other cities have I been so fully confronted with the past and the future at the same time as in Berlin. Berlin hasn't really been around long enough to have a lot of truly old buildings like Rome or Istanbul. However, age isn't so much about time as it is about what has happened in that time. Evidence of Berlin's tumultuous history in the 20th century is visible everywhere. 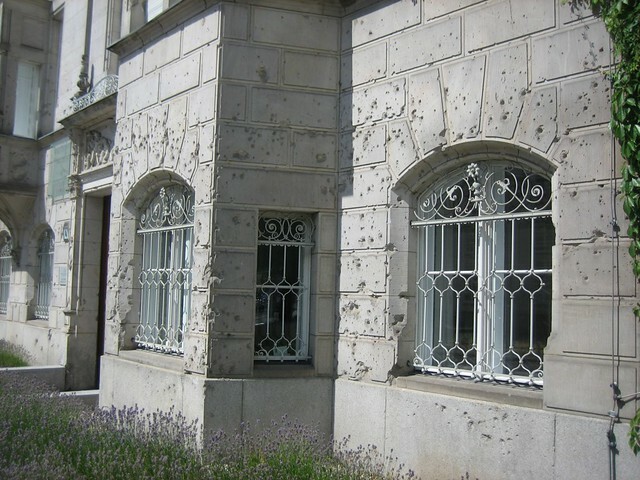 Walking down a side street, I saw an older building with what seemed to be bullet holes around all of its ground-floor windows - it was presumably kept in that state as a reminder. After this I would double-check every evidence of wear in older buildings to see if it might actually be bullet or shrapnel holes - I'm pretty sure the columns in front of the Pergamon museum have some bullet holes too. 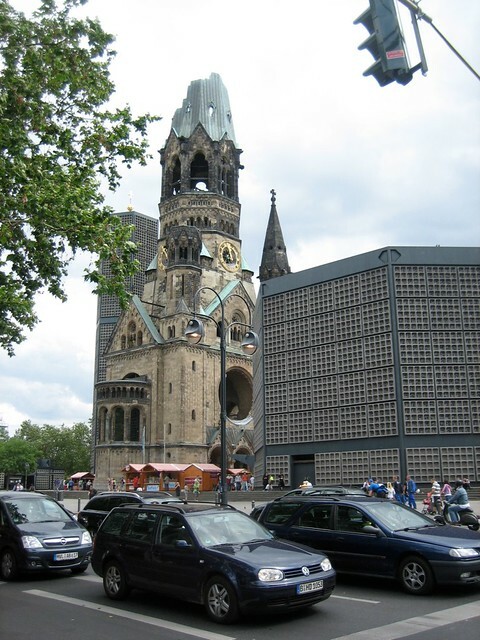 The massive Kaiser Wilhelm Memorial Cathedral was heavily damaged during the war, with only the main steeple, half roofless and hollowed out, remaining. The fairly recent 'reconstruction' built a modern glass structure around the original stone, highlighting the ruin of the stone structure. A memorial to the kinds of passengers/cargo that went under this very bridge, in one of the greatest crimes in history. 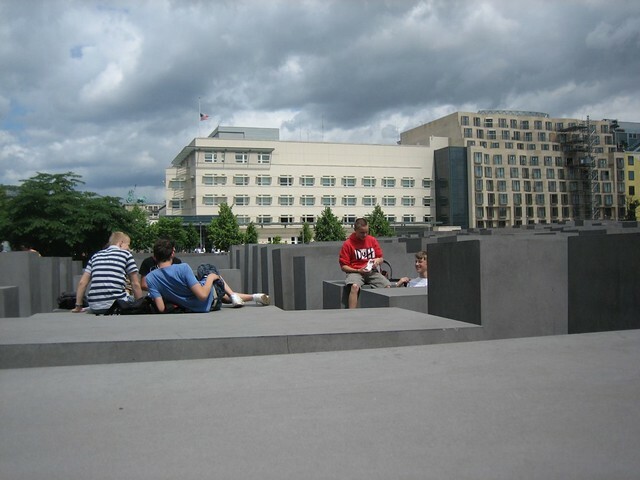 In the heart of the city is the striking Memorial to the Murdered Jews of Europe. It is a large plaza filled with a grid of somber grey stones. The ground undulates and the stones vary in height, so that at times you feel like you're walking among sarcophagi, and at times like you're walking in a windowless city. It is a powerful monument - although the first time I was there, so were several school groups, and the teenagers were sunning themselves on the low stones, and playing rowdy games of hide-and-seek in between the tall ones. There's also a row of gift shops and snack patios on one side, because after reflecting upon the Holocaust, I guess some people like to unwind with some pork sausage and a nice cold Heineken. Walking around the city, you can't avoid finding reminders of the Berlin Wall. We walked into town along a canal one day and discovered, next to an apartment complex and a graveyard, a guard post and a long section of the wall running along the shoreline. Having come from Istanbul, I guess I had expected walls to be giant fortifications, but the Berlin wall wasn't designed to withstand military assault: just to keep random civilians out. So it's mostly just thin slabs of concrete about ten feet high, one side with graffiti, and the other side creepily empty. Another time we decided to walk along "Gardenstrasse" and came upon a full exhibit on the wall and a memorial to those who died trying to get across. It's a pleasant if sombre park now, and it gives a better impression of how the wall was arranged. It was actually two walls, with a wide concrete no man's land in between them - so if you managed to get over the first wall and its barbed wire, you would then have to get across a wide open space and over another wall, with searchlights and gunmen with orders to shoot to kill. Some people managed to make it, but many didn't. The memorial section has pictures and dates for the victims, including one poor guy who died trying to get across in March of 1989 - if he had just waited a few more months, he could have simply walked across without any trouble. Some of the victims were children, and one was a baby. Many of the slots in the memorial have fresh flowers in them. It's a bit creepy to stand the middle of what used to be no-man's-land, and realize that for almost half of my life standing here would have gotten me shot. The war and the wall also have a legacy in the negative spaces of the city - the sudden empty lots in the middle of densely built up areas, the long narrow parks, or the strips of new buildings cutting through otherwise older districts. 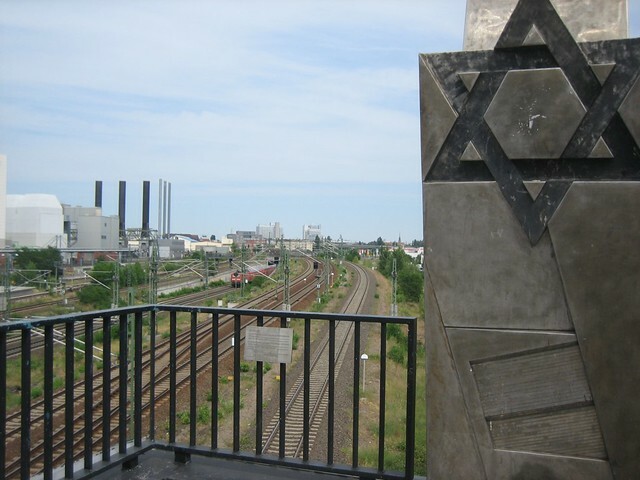 While the destruction of the war and the reminders of the horrors of the Nazi era were of course powerful, I was surprised by how upset I was at the memory of the Wall. Perhaps because I actually remember when the wall was up and the global exultation when it came down. Perhaps it's because, while many cities have faced destruction (Warsaw in 1944, London in 1666, San Francisco in 1906, Halifax in 1917, and so on), being arbitrarily split in half is a more distinct disaster. Usually the destructive event is relatively quick, and the reconstruction that happens afterwards helps bring the citizens together, and lets them rethink the city and what it should mean to them and how it should work. 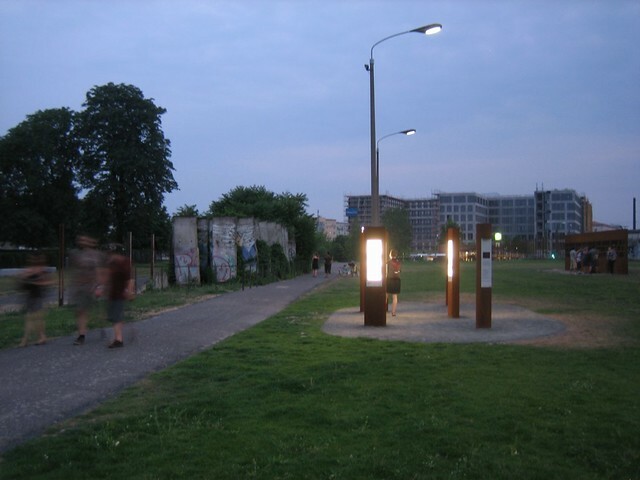 The Berlin Wall took a great city that was just beginning to recover from one disaster and dismembered it, leaving it broken for an entire generation. But since the wall came down, Berlin has made up for the lost time. The wall covered a lot of prime land in the middle of the city, and in the 1990s the horizon was full of cranes and frenetic monumental construction. One of more unfortunate aspects of the 20th century's architectural history is that the big post-war building boom coincided with some pretty ugly architectural fads: cities across the world that grew or rebuilt in the 1950s-1970s have been clogged with cheap and/or inhuman implementations of International Style and Brutalism. 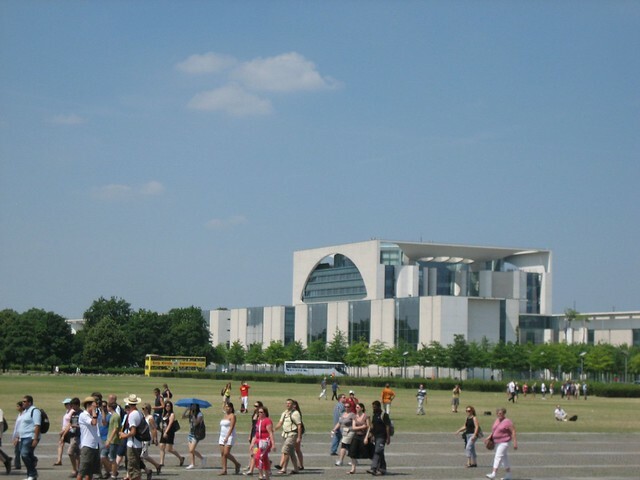 Berlin got the chance to rebuild large parts of their downtown in the 1990s and 2000s - and they had the money to do a good job with a lot of it. I kept turning corners in the city and coming upon a vista that felt like something from the cover of a science fiction paperback. 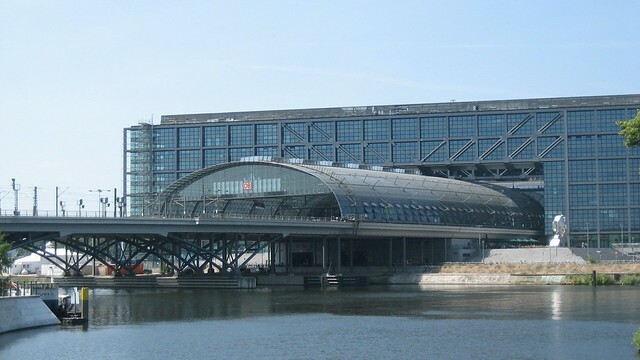 I couldn't help but wonder if the architects who designed new buildings like the Hauptbanhof or the new government buildings around the Riechstag had also seen the same futuristic paintings that I had grown up with.